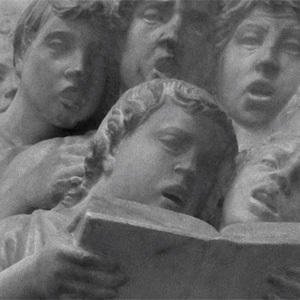 AUDIO: Hymnal harmonization, adapt. Felix Mendelssohn - Descant verse Free score. The tune going by the name MUNICH traces its origins to 1593, when it appeared in the Dresdner Gesangbuch, which reappeared somewhat evolved a century later in Neu-vermehrtes und zu Übung Christl. Gottseligkeit eingerichtetes Meiningisches Gesangbuch- a word salad that is more frequently simplified to Meiningen Gesangbuch,at that time used as a hymnal in Munich (which is not near Meiningen). It is this variant that Felix Mendelssohn adapted from the hymn O Gott, du frommer Gott,and arranged for the vocal quartet Cast thy burden upon the Lordin his oratorio, Elijah. It is this adaptation that has passed into modern hymnody, paired most significantly with William Walsham How's 1867 hymn, O Word of God incarnate. His original had four verses, but in some hymnals, the middle two are condensed into single verse. Every bit accepting of modern science, How's hymn nevertheless enlarges on the incipit of the prologue to St. John's gospel - "In the beginning was the word, and the word was with God, and the word was God" - to establish the centrality of the Bible in Christian faith and doctrine. Bishop How is well known for other works - a hymn, For all the saints, and his life of service; as suffragan bishop he lived among the poor of East London. For this service, he turned down higher episcopal appointments in Durham and Manchester. Mendelssohn Essays, R. Larry Todd, Routledge, 2007 ISBN 978-0415978149.